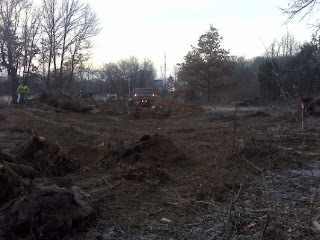 Ken Geroux Construction Corporation: Ken Geroux Construction breaks gound in Swanson Woods!! Ken Geroux Construction breaks gound in Swanson Woods!! We broke Ground last week on another single family rambler. We are excited because this home will be Energy Star Rated with means it will have the latest in building sciences for achieving maximum energy efficiency. We hope to bring you more photos of this project as we go along.